Microsoft's level of trust in the open source community is continuing to build after it moved to absorb its MS Open Technologies subsidiary back into the company. 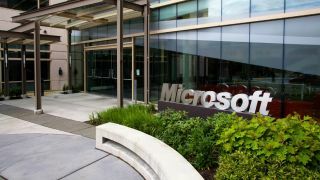 The move, which brings the "startup subsidiary" back under Microsoft control, came after MS Open Tech reached its key goals and it will help Microsoft "take its next steps in deepening its engagement with open source and open standards," according to a company blog post. Since it started life three years ago, MS Open Tech has worked with a number of open source communities to help developers take advantage of Microsoft products. This has included making it easier for Linux and Java developers to integrate Azure into the likes of Docker, Chef and Puppet using various SDKs, tools and plug-ins. In the time that it has kept its open source department at an arm's length it has also taken Microsoft services and APIs onto iOS and Android, and made .NET open source in the time. In terms of where the project will go next, Jean Paoli, president of MS Open Tech, promised that "team members will play a broader role in the open advocacy mission with teams across the company, including the creation of the Microsoft Open Technology Programs Office." It was only couple of weeks ago that one Microsoft engineer hinted that the source code for Windows 10 may one day get released and absorbing MS Open Tech back into Microsoft only accelerates this possibility.